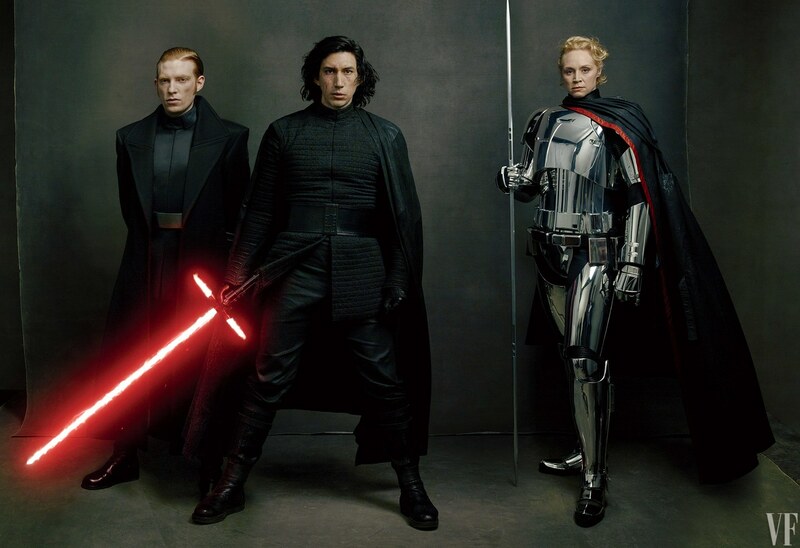 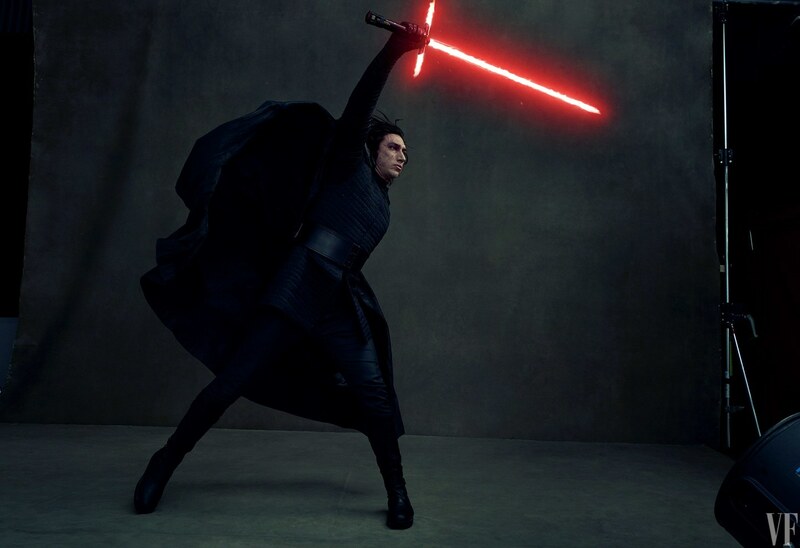 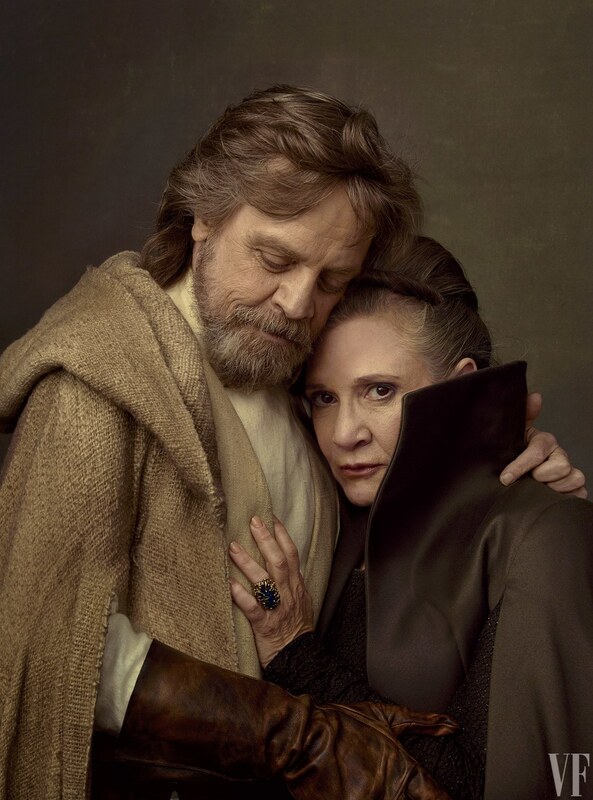 Yesterday brought us some really new shots from The Last Jedi, via four rather gorgeous Vanity Fair covers (courtesy of photographer Annie Leibovitz). 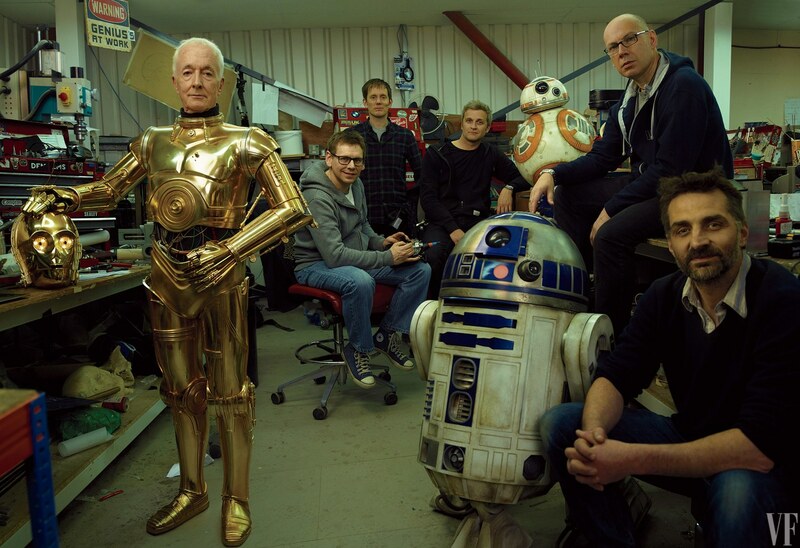 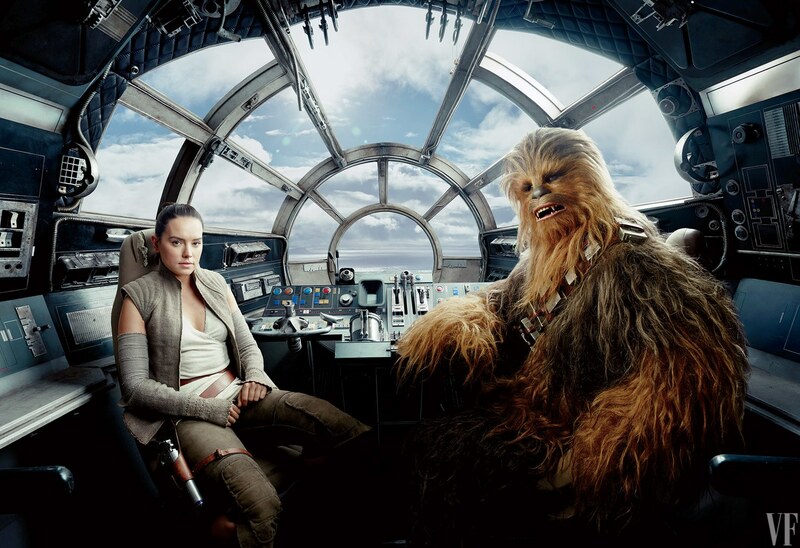 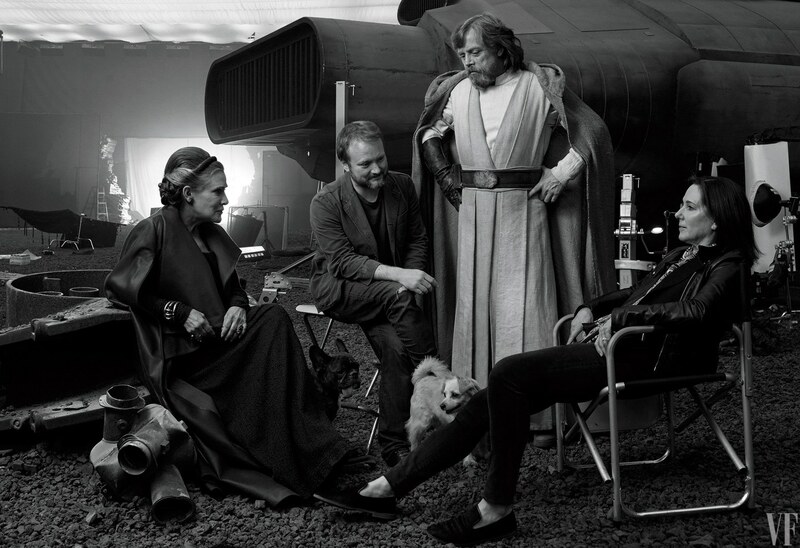 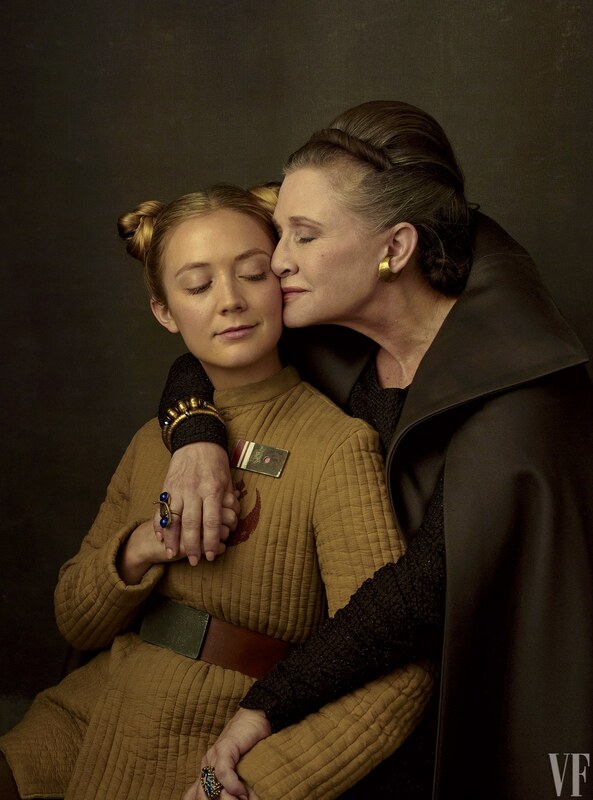 Now, even more images (including a heartbreaking shot of Carrie Fisher with her daughter Billie Lourd) have come our way, as well as more details of what Rian Johnson has in store for us. 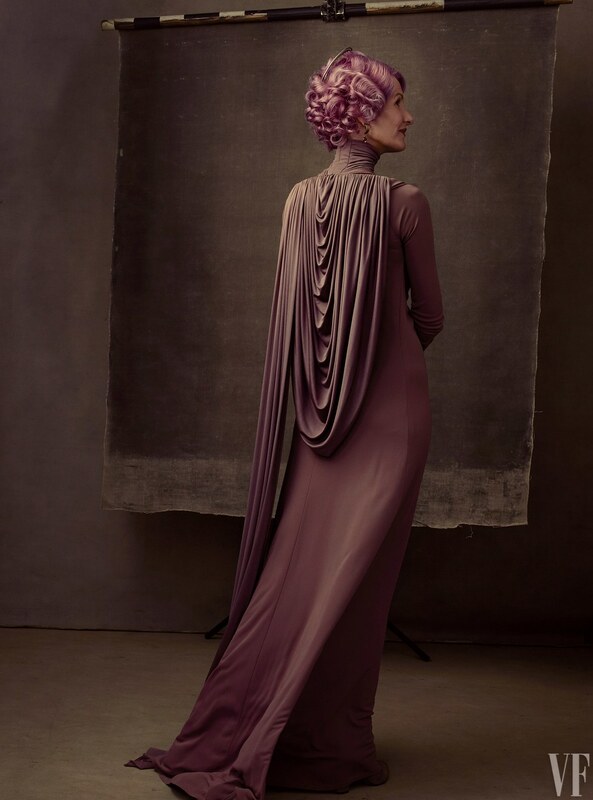 The big take aways are our first looks at the new characters, specifically Benicio Del Toro as the shady DJ and Laura Dern as Vice Admiral Amilyn Holdo, a prominent member of the Resistance. 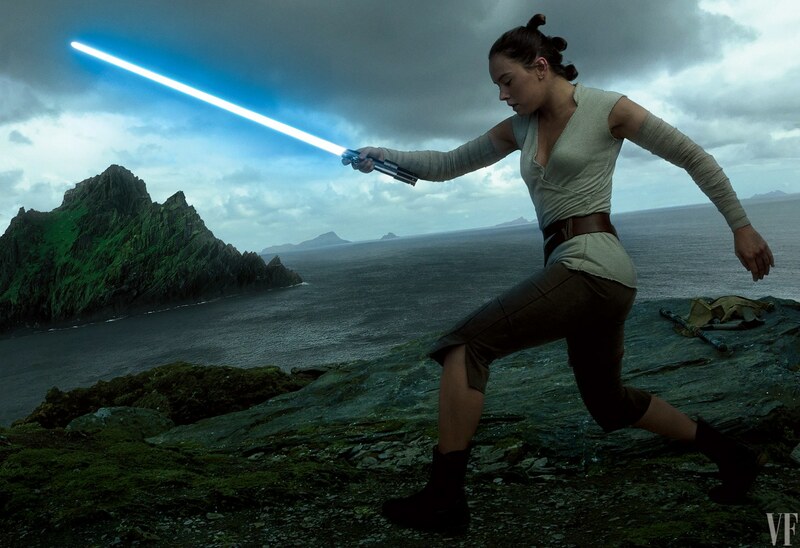 Johnson has also revealed some of the new planets and cities he will be playing in, namely Anch-To, the planet Luke has been living alone on for all these years, and Canto Bight, a glittering casino city Finn and other newcomer Rose Tico (Kelly Marie Tran) find themselves in as the story progresses. 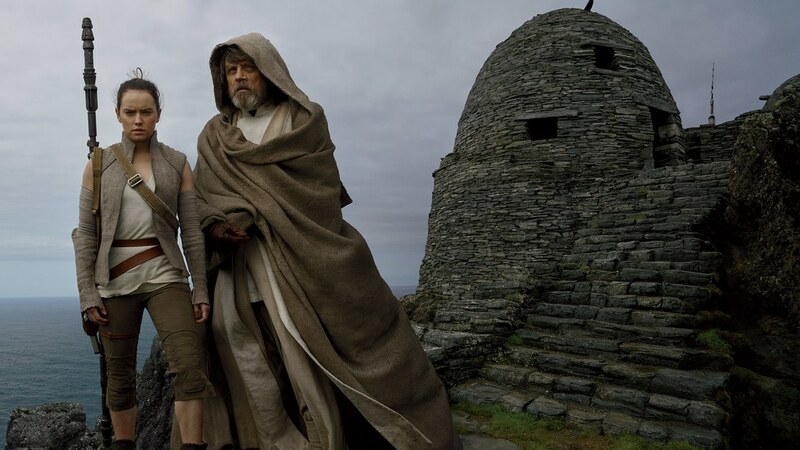 Skellig Michael is famously subbing for Anch-To, and Johnson has revealed that Luke isn’t alone on picturesque rock in the middle of the ocean, sharing his new home with an 'indigenous race of caretaker creatures’ that he assures us are ‘not Ewoks’, who live in bee hive huts similar to the ones that the monks on Skellig lived in hundreds of years ago. 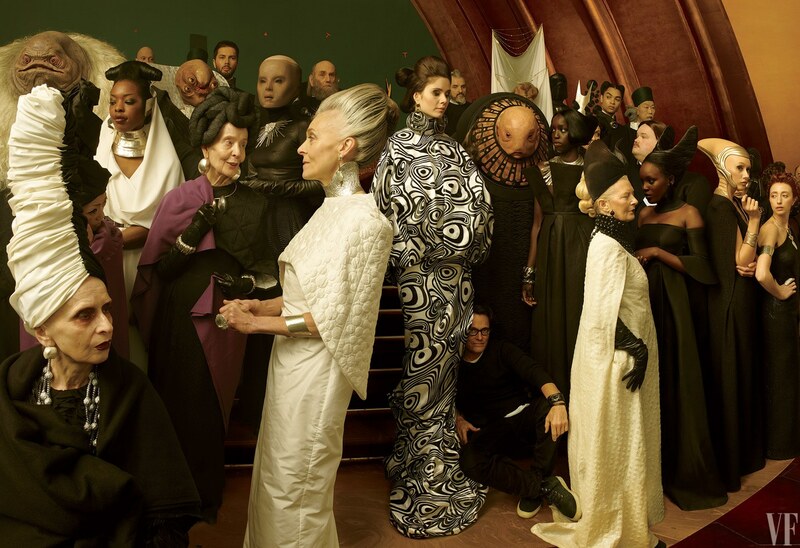 Canto Bight is an interesting setting. 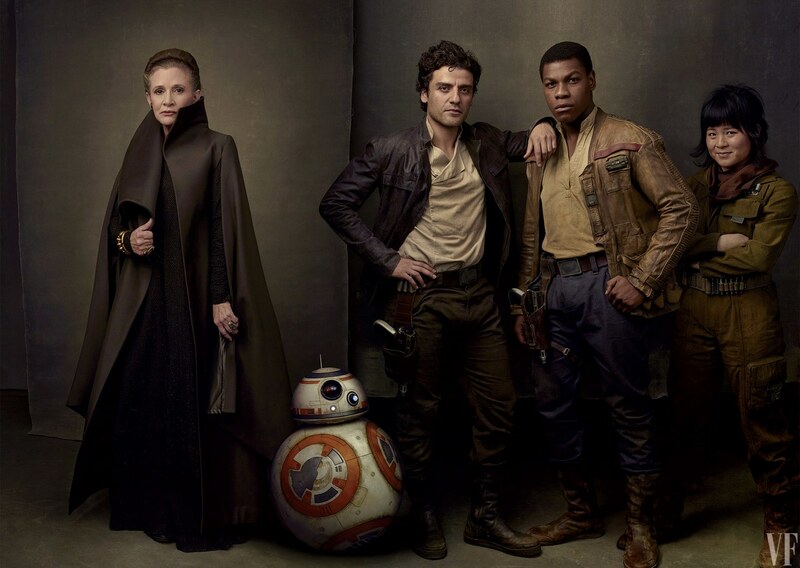 Basically space Monte Carlo, and home to ‘rich *ssholes’, it’s really the first time glamour and wealth has been portrayed in the Star Wars universe. 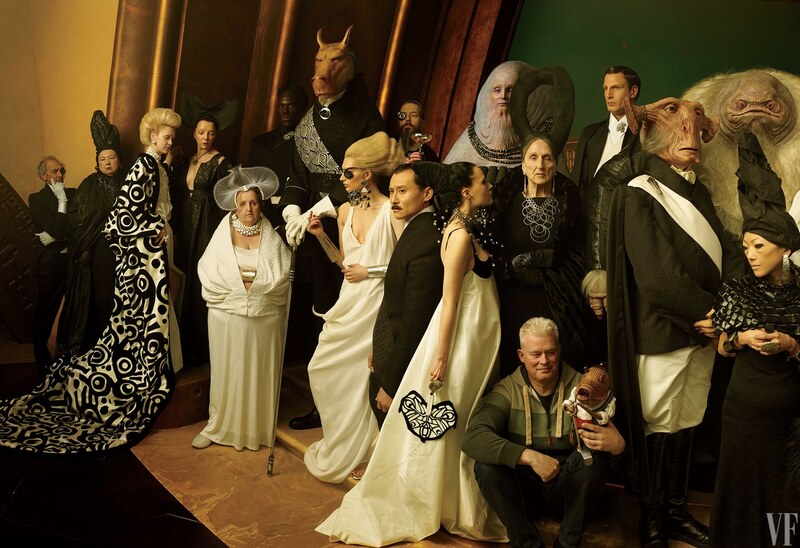 Being set during an intergalactic Civil War, there wasn’t much call for us to visit high society. 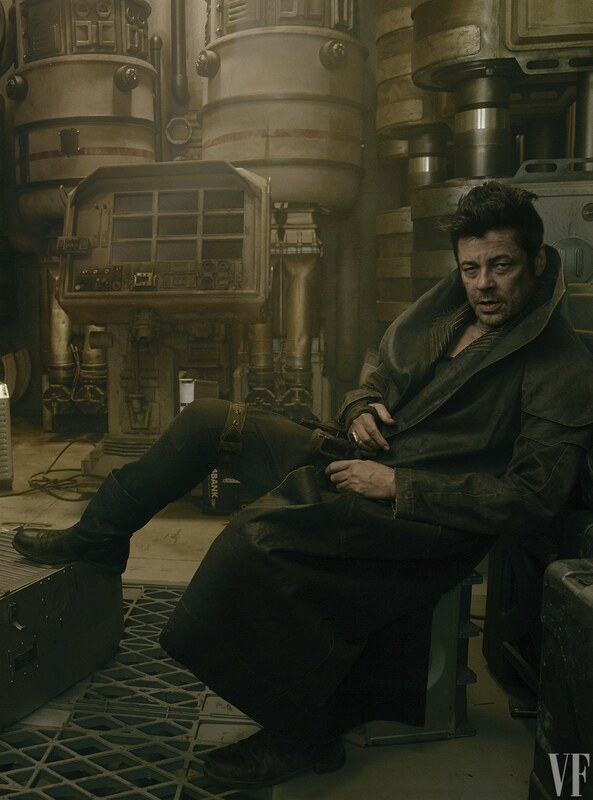 Time will tell if Johnson will be able to pull this shift in setting off.